Your little writers will have the opportunity to write short stories, make lists, create their own poem, draw and so much more! Use these journals throughout the winter months as morning work, early finisher assignments, or work on them together as a class! 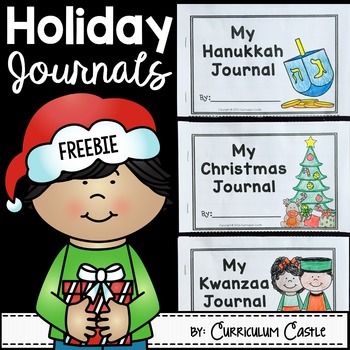 Perfect for grades K-3...For Kindergarten students, journal pages may require a more guided instruction approach. 1st-3rd grade students will be able to complete the prompts more independently. Christmas Around the World packet!